Handmade necklace by Catie McCool. 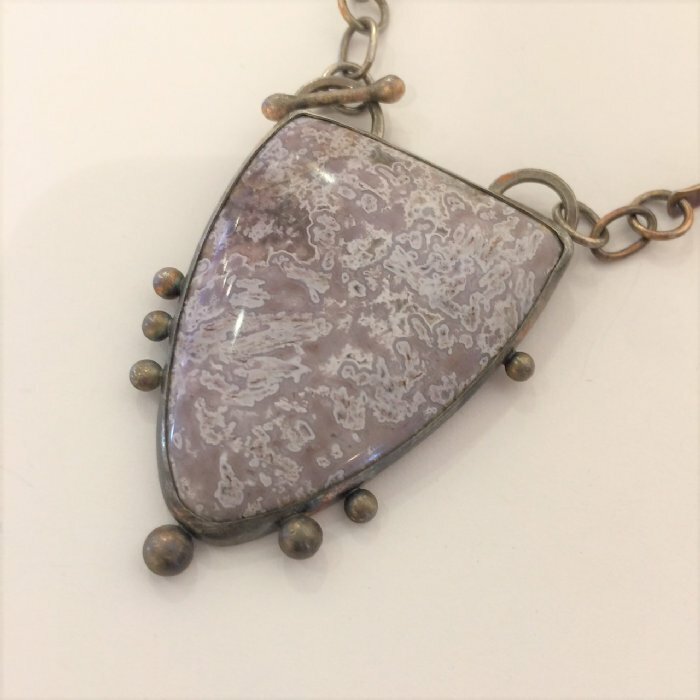 Lace agate with argentium silver. Inspired by the dynamic nature of life, Catie McCool is a Newburyport, Mass. 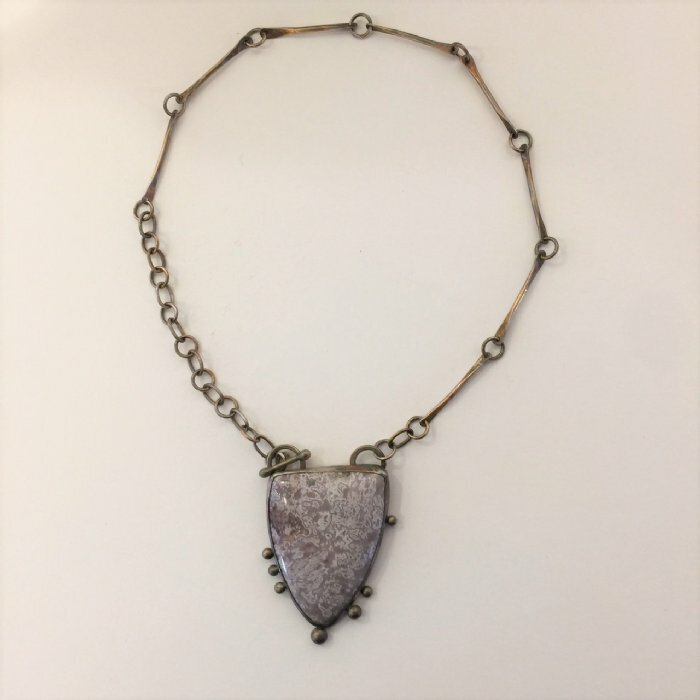 native whose elaborate jewelry emphasizes texture and movement. From re-purposing old fossils and stones, to exploring different oxidation techniques, no two pieces are alike. Catie’s impeccable attention to detail is demonstrated in her process. 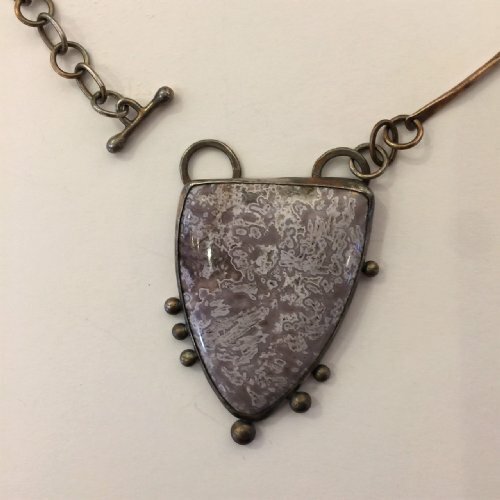 From designing pendants that showcase a stone on both sides, cutting elaborate patterns into a cuff using a small jeweler’s saw, or hand crafting necklace chains link by link, each piece is truly one of a kind.